how many people in a community meet recommendations, based on the individual’s age and gender. To protect the privacy of the people who have gone through our fairs, everything on this site is anonymous. We also automatically hide values if the number of participants in a particular category becomes too small (<5). 3. 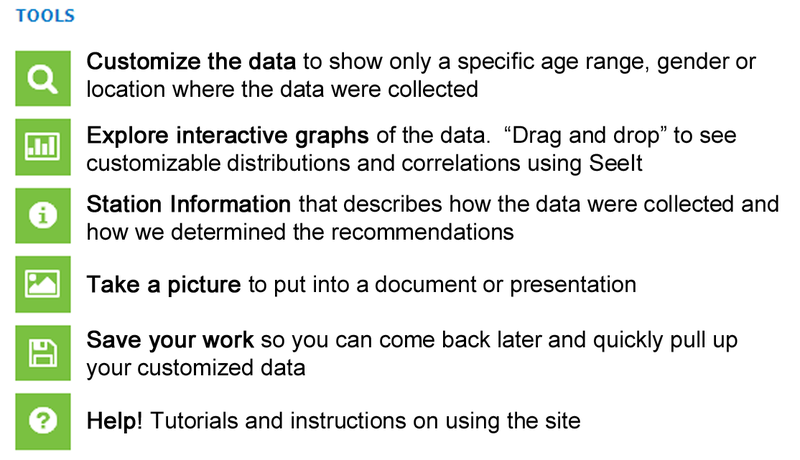 Use the tools menu to customize the data you want to see, find more information and save your work!